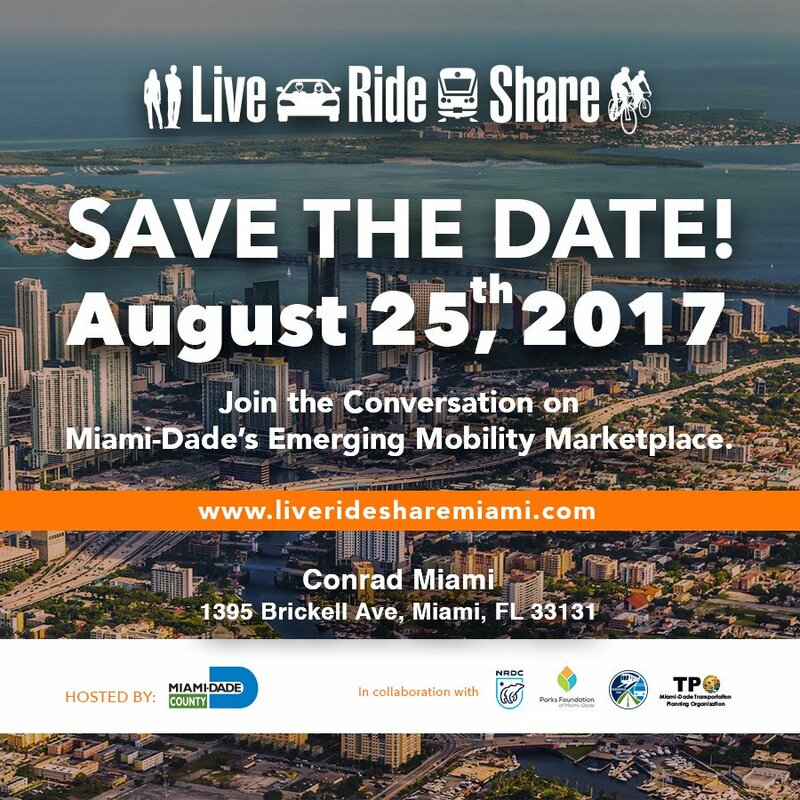 The Live.Ride.Share.Miami shared-use mobility summit will be the first of it's kind in Miami-Dade. "Building on the success of transportation summits in Los Angeles and Denver, Live.Ride.Share.Miami will bring together local and national transportation leaders to discuss the role the sharing economy can play for mobility in South Florida. Many forms of shared mobility have emerged over the last decade and are now starting to have a noticeable presence in Miami-Dade and it is important that we understand the benefits and impacts. While many cities have played a reactionary role to emerging mobility opportunities, others have been more proactive by developing pilots, programs and policies that integrate and expand these new services for residents. Panelists from cities on the cutting edge of shared mobility will discuss successful strategies, where they see new opportunities and potential for expansion, and how these modes best fit into the urban transportation landscape." For more information visit Live.Ride.Share.Miami.